There is a lot of progress on the developing side as well. We made progress with the packaging design and the first packaging production samples are almost ready. In the image below you’ll notice the several packaging mock-ups we currently have in our hands. The packaging is designed to be durable, and we decided not to use plastics in the packaging design. 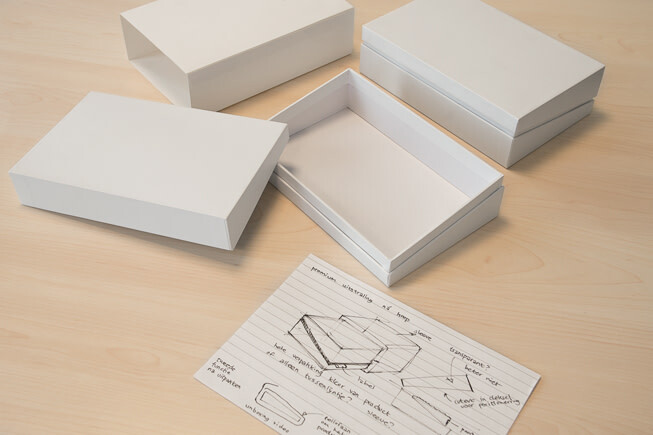 The materials are carefully chosen to create the best-looking packaging solution for the Ockel Sirius A! We can’t wait to show you the result.